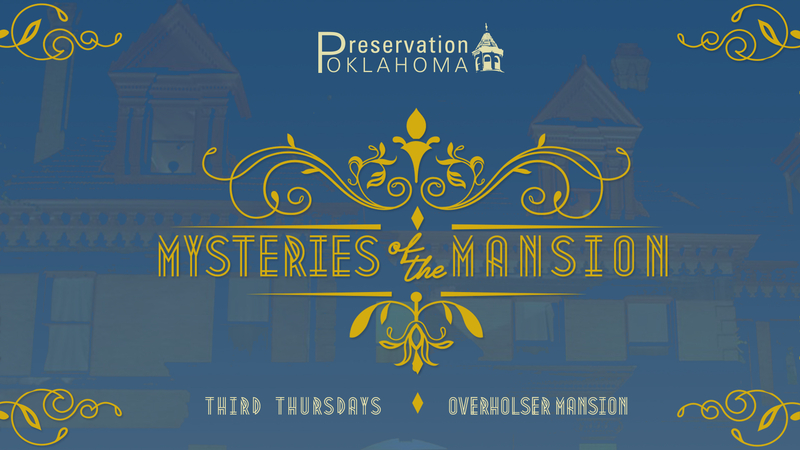 April 18, 7 p.m.–8:30 p.m.
Visit the Henry Overholser Mansion in Oklahoma City for a Mysteries of the Mansion tour on Thursday at 7 p.m. This extended tour allows guests to tour the mansion at night, examine archival materials, and hear some amazing stories. Guests are asked to RSVP in advance and the cost is $20 per person. To make a reservation for this special tour, please call 405-525-5325 or email overholsermansion@preservationok.org. The Overholser Mansion is owned by the OHS and managed by Preservation Oklahoma, Inc.